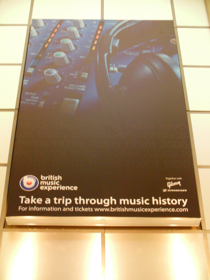 Back in London & I’m in need of music, modern culture & an amazing experience & that’s exactly what I got at the British Music Experience at the O2 Arena – a quick tube ride to North Greenwich on the Jubilee Line. 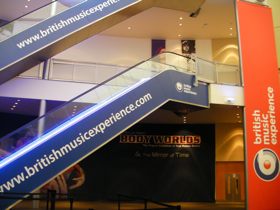 The British Music Experience has only just opened & is a totally interactive museum featuring the past, present & future of British music. 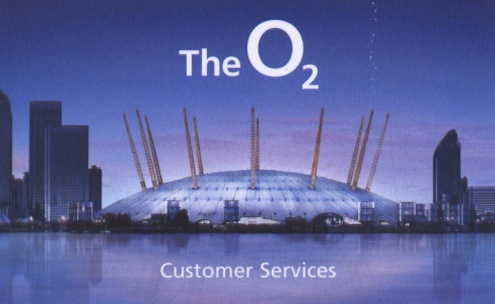 It’s built into the spectacular O2 arena – where numerous super stars perform live – Elton John performed recently & Michael Jackson sold out shows coming soon. 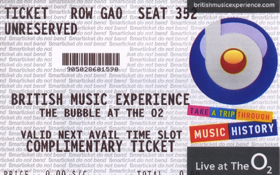 Find out more about the British Music Experience – have a listen to my conversation with Matt Glover, Senior Music Partnerships Manager at AEG the parent company of the British Music Experience – click on the play button below.. 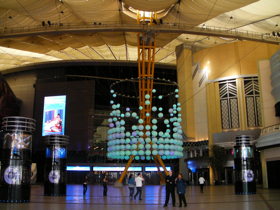 Walking up to the O2 Arena. 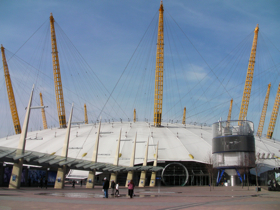 Walking into the O2 Arena. Entering the British Music Experience. 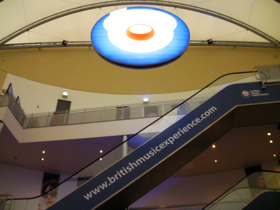 Going up into the British Music Experience. 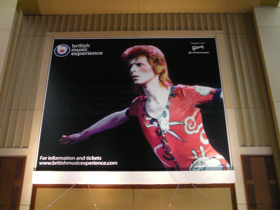 British Music Experience banners featuring British music icons Oasis & David Bowie. 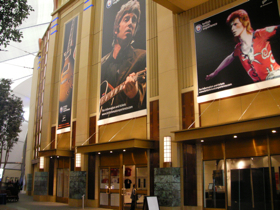 David Bowie banner & inside you’ll see some of Bowie’s original costumes, hand written lyrics & more. The very cool music video production pod – where you can record a music video of yourself & take it home on DVD!! 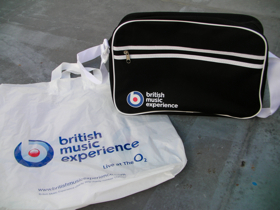 And yes of course you can go shopping at the British Music Experience – I had to buy myself a British music airline bag!! This entry was posted on Tuesday, March 31st, 2009 at 2:25 am and is filed under London Direct. You can follow any responses to this entry through the RSS 2.0 feed. Responses are currently closed, but you can trackback from your own site. Hi there, I was wondering if you had any more information on the music video production pod? 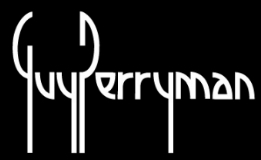 I’m designing something similar so would relish anymore information you might have (who was the designer, any more pictures, etc). Cheers! John.